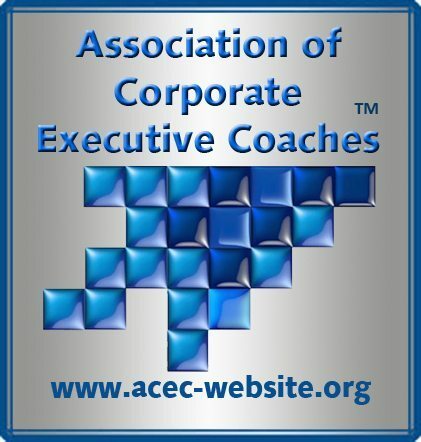 In 2013 the ACEC International Executive Coaching Thought Leader of Distinction© award was designed by ACEC, to recognize industry leaders who have nurtured and stimulated corporate executive coaches to greater heights as “enterprise-wide business partners©”; and for those who have influenced a culture with positive transformation. Dr. Marshall Goldsmith and Mrs. Barbara Singer Cheng were the first to be honored with this award. This year the Association of Corporate Executive Coaches continues this tradition by bestowing this honor on two more deserving influencers for their commitment in the field of leadership executive coaching. Specifically, we acknowledge their work in creating positive organizational communities that work together for the greater good. 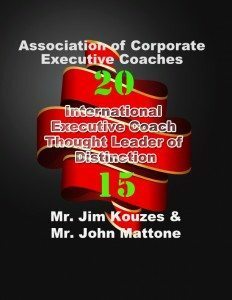 It is therefore my honor to announce that the executive committee and the chairpersons of the steering committees for the Association of Corporate Executive Coaches have unanimously voted each of you, Mr. Kouzes and Mr. Mattone, as awardees for our 3rd annual award. You will receive lifetime membership in the Association of Corporate Executive Coaches and are therefore entitled to all of the benefits awarded to membership. In addition, you are awarded the prestigious certification as a Master Corporate Executive Coach (MCEC) and may therefore display the attached logos for membership and certification as well as your ribbon in your marketing material. You’re honoree certification comes with granting lifetime qualifications having been met. Both are governed by the same ethics of membership and certification as required of a regular member. Please visit your pages of recognition on our website & social networks!